That would be Sir Humphrey’s department – For the fainthearted . . .
A single memory of the place lingers from childhood, standing with my mother on the platform as a steam locomotive pulling carriages came into the station. Neither of Langport stations survived the Beeching axe, so it must have been in 1964, when I was three years old that I stood at Langport West, waiting for that train to Taunton. Langport East was on the mainline from Paddington to Penzance, so although no trace of the station remains, the line is very active. Langport West was on the Yeovil to Taunton line, which was considered unviable and closed. A trading estate now occupies the site of the former station. Booking the car in for a service at a workshop, I wandered in the hope of finding some sign that there was once a railway here. All that seems now to remain is the bridge under which the railway ran on its way to the county town. On the far side of the bridge from the trading estate, the cutting through which the line ran is now filled with well-established trees. How would anyone know that once a railway had run here? How would anyone know that people had travelled from here to who knows where? Crossing the road, a fading stencilled number in the stonework suggested that this bridge had once been part of something larger, had once been part of something so large that a five digit number was needed. 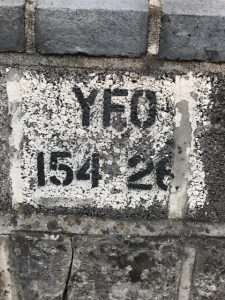 “Yeo 154 26” pointed to the connection with Yeovil, but what did the rest mean? There seems little now that cannot be found on the Internet, and a search for “Yeo 154 26” brought a link to a government buildings website. The bridge, it seemed had been retained as part British Railways Board’s “burdensome estate,” presumably the local council did not want responsibility for it. “Burdensome” was a fitting description of useless assets, what does one do with a bridge that is no longer necessary? Not only was the estate burdensome financially, it was burdensome bureaucratically, there seems to have been an extraordinary amount of paperwork attached to a single bridge. 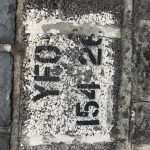 “Yeo” indicated Yeovil, and “154 26” was 154 miles and 26 chains – but from where? Why would anyone wish to so precisely measure the distance to a bridge on a redundant line when a note that it was crossed by the A378 at Langport would have been sufficient? And how much of the bridge was actually owned? 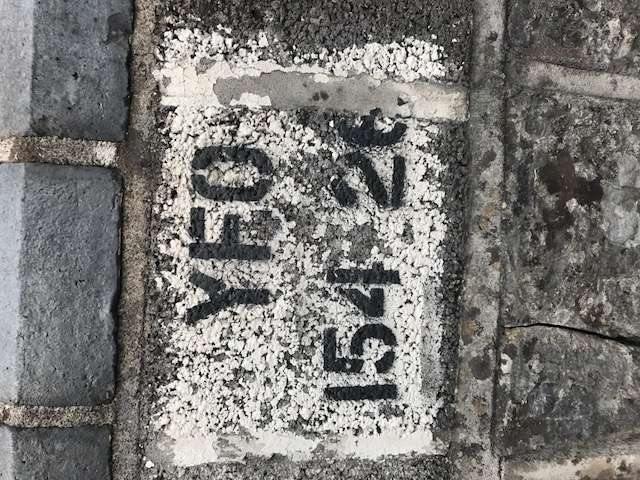 The area stated is 0.0087 square metres,13.5 square inches, that’s three and a half inches by four inches, even the stencilled code number covered a bigger area. The Highways Agency Historical Railways Estate is now responsible for the historical railways estate (formerly known as the Burdensome Estate). This includes legacy bridges, abutments, tunnels, cuttings, viaducts and similar properties associated with closed railway lines, and sales. It is fifty-three years since a train ran on that line, yet four years ago the bridge was transferred to a new agency. Somewhere there is an office dedicated to “historical railways estate.” This is either a railway enthusiast’s dream or Sir Humphrey’s Department of Administrative Affairs, that was presided over by Jim Hacker in BBC Television’s “Yes, Minister”, really does exist. UK Government property asset – Freehold/Feuhold/Fee Simple property located in LANGPORT (South West) used by BRITISH RAILWAYS BOARD (RESIDUARY) LTD – BURDENSOME ESTATE (Department for Transport). Property is 0.0087 m2 and tenure is Freehold/Feuhold/Fee Simple.